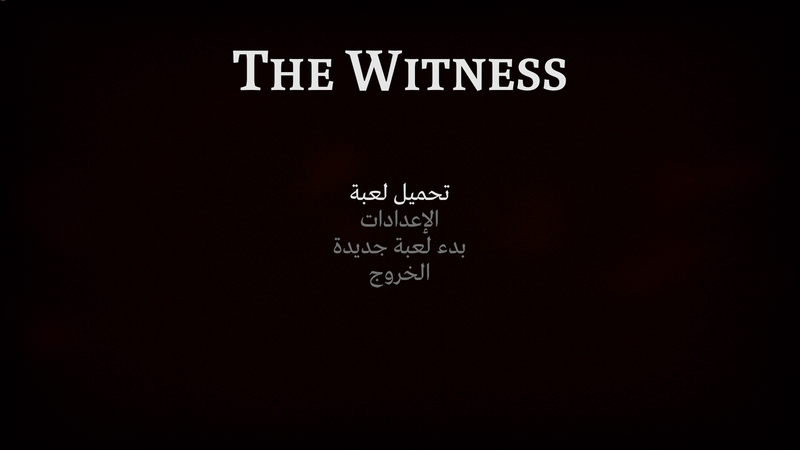 Whose voices are in The Witness? Whatever, If you couldn’t figure out the notification thing, how will you figure out The Witness? I was trying to be helpful more than cynical. Do not get instantly angry though, for I don’t see this changing anytime soon. Just get used to it, you’ll get better at it with time. Or just riot, riot till there’s nothing left of them. My pet peeve is people in the world who don’t care about learning from and exploring their environment and complain about problems instead of actually working towards fixing them. Life has to be about more than just solving problems, but the only thing that anyone can ask of you as a human is to solve more problems than you create. You can make your world and *your self* better. This might be the most important thing that every person does. The reason why we educate ourselves and improve ourselves is so that we can be more effective at making these significant positive changes in the world. At creating more solutions than problems. Because your actions are what built our world. I hope you read this Jonathan because you’re my hero and role model And you inspired me to develop this mindset and become a CS. I promise *I will work* to solve these problems. While part of me wants to be the bigger person and ignore this, I feel I must reply to this. Because of your inherent rudeness, I didn’t even reply to the actual content of your “answer” to my question. But now, as you type out an essay of what a hero you are for knowing how to turn off PS4 notifications and what a plebeian I am for not, as you drag my ability to play a game you have yet to even try through the mud based on your superior intelligence, I feel I must set the record straight before this goes any further: I, too, know how to turn off PS4 notifications, computer programmer. The Witness is a game about being perceptive to small clues in your environment. If you had been looking very carefully at my original comment, I had asked for an “appear offline” option, not how to turn off notifications. Now, I did list some hypothetical examples of said notifications and say that things like that would ruin my immersion, but I never asked anyone, once, how to turn off notifications. From there, one could make the leap that I know how to do this and/or don’t care, because it is a half a**ed solution, one that maintains immersions, but makes me look like I’m ignoring my friends and instead leads to a pile up of notifications to check when I finally exit the game, and is thus why it was not what I was asking for in the first place. Now, I hope we can put to bed all of the other stuff you added about making myself a better person, looking for my own solutions, how your misconception of what type of person I am is your pet peeve, etc. All of this is based off a judgement that the question I asked was stupid, and that everyone should have the same exact knowledge and skill sets that you do, and find the answer as obvious as you. But I never asked the question, and it is therefore moot. “If I wanted to be rude towards Ryan T. I would’ve just done this: http://bfy.tw/3Qdr“. And now you have, congrats! If I ever meet Freddie Mercury in rock heaven, I’ll have to remind myself of this conversation as a perfect example of how NOT to talk to your heroes. Haha yea. Are you the one that replied to me a bit ago “I added the T to my name to something or other”? Cause if you are I think there’s just the two of us. If you’re not I think there’s three haha. Either way my T is my middle name, I could easily be Ryan P for my last, I just wanted something to separate me from “Ryan”, of whom there are FAR too many of haha. I can understand all three sides of this argument and respect each point of view. This is just another case of not being able to convey accurately the proper emotional information alongside the simple text. Everyone has a position and immediately responds to the distance in between ideas and assumes the other is out to get them and wants only to let them know it. I’d like to think that guy number 2 did not really intend to insult guy number 1 and that given the choice both parties might reword things for better and more civil understanding. In the end we’re all here because of this amazing game and in the end the game wins all arguments. I hope everyone doesn’t take the comments far too seriously, because we really just can’t convey or be invested as much as we can in person. Thus are the trials of the Internet anyway. We’re all learning. We’re all trying. We can’t assume things about a whole person based on one comment or even two. I’ve made some silly comments myself from time to time on these forums that I wish I could have imbued with more understanding of where I was coming from — but in the end I hope the only thing that can be taken from what I do say, is my love for this project and for the community of people that feel the same way and maybe a little different than I do. 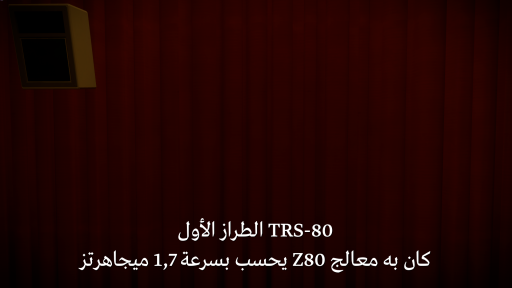 Okay, without speaking Arabic I see TRS-80, 1,7 and Z80, and Wikipedia tells me the TRS-80 is an old computer that used a Z80 processor running at 1.7MHz… and with the curtains and speaker on screen it looks like… an old computer museum exhibition? Very interesting! PS Merry Christmas to everybody at Team Thekla (including Oswin)! I believe it’s a line from Brian Moriarty’s lecture “The Secret of Psalm 46”, he recorded a version of it for The Witness in 2010. Indeed, this is an excerpt of a game design talk by Bryan Moriarty. An Infocom Implementer best known for Loom and Trinity, whom Jonathan is very fond of. I very much like this lecture of his, and so does Jonathan! I’m sure he would recommend you check it out as well. I just want to know how hard did you find supporting and rendering languages that are “Complex Script Layout”, and if you did have some knowledge about the logic behind this type of languages. Did you use a specific library (HarfBuzz for example? :) ), as using a ready library like HarfBuzz is way too easier than implementing the whole thing from scratch. Don’t get me wrong, I appreciate the fact that the HarfBuzz author(s) have done good work and made it available to the world to use for free. That is very good and most people do not do so much! But it is also massively irksome to me when people throw code like that over the wall and expect all programmers out in the world who *use* it to stumble through a bunch of pain to do so, when all that pain is unnecessary. I think it’s just because open-source library authors don’t tend to do the math and, for example, see that if they spend one day documenting basic use of a system, they can save thousands of days of people banging their head against the wall frustrated. I am acutely aware of this phenomenon, so for example, in the programming language I am working on, ease for the user of the language, in every dimension (installation, running, error messages describing your own code, etc) is a very very high priority. Now, a lot of people will *tell* you that those things are a high priority, but in most cases they don’t know what that really means (in the same way folks in the Linux community don’t seem to understand what end-user usability really means). But having been in the game industry for decades, being serious about shipping polished games to people, and having to polish those games simultaneously both in their design and technical aspects, I really do have a feel for what this means now and I take it very seriously. I think the biggest advance that we could make, in general, in the software engineering world, would be to understand this quality of robustness to the end-user and to take it very very seriously. With a full understanding of this, almost all software would change (the Web would be very different from how it is today, for example). Knowing what I know now, if I were just supporting Arabic only I would just have written the code myself. I actually had Arabic support mostly done before switching to HarfBuzz, but I got worried about the potentiality of special cases in Arabic where you don’t just apply the general shaping rules automatically. In retrospect, though, it would have been easier for me to get a friend who knows Arabic to tell me what the special rules are, and type them into the code I had, than it was to switch to HB. (I also would have been much happier doing this than with what actually happened). But I think where using HB will come in handy is if we start supporting other Indic and Middle-Eastern languages, some of which apparently get pretty crazy in terms of what the shaping rules are. At that point it will really pay off (but I don’t know if we will do that). It’s funny because I know the HB contributors want it to be a really good library that can be broadly used. And again I don’t want to sound unappreciative. But putting a library out into the world is also an easy way to introduce a lot of pain into peoples’ lives. Hopefully writing a good documentation this time will save time for other developers and make them fell happier that they did such a complex shaping with a bunch of lines of code. Sorry again and have a nice day! There is also doxygen-style auto-generated “documentation” of procedure calls, enums, etc, but that kind of thing is mostly useless. People only do it because it is a low-effort thing. About raqm … I mean it’s fine that people are doing this, but yuck, the way you make bad software is by piling abstraction layer on top of abstraction layer on top of abstraction layer. Things get terrible pretty fast. The way to do this kind of thing neatly and cleanly is just to make a library that does shaping and bidi and script detection and whatever else, all at once, in one package (preferably in one file!) This is how I will do it when I get to that part of building the standard library for the programming language I am working on. There is a library (Another one :P) that integrates HB with ICU. I would like to start testing those to help developers support Arabic shaping in their apps/games. How on Earth did TRS-80 get into the text??? Don’t tell me you ported it to the TRS-80. And if so, would I need the 4k of RAM upgrade? Thank you for supporting Arabic and for your efforts to fix the issues with it. Even if it is hard for me where I live, I will do my best to purchase your game “legally” as a respect of what you do. Don’t look like there is Hungarian. But still a lot. “Also, we will be adding Hungarian to the list of languages suppoorted at release.”, found in the blog post before this one, “Entering the Home Stretch”, under “What Else is Going On”. So yes, there will be hungarian subtitles. Really impressed by the wide range of language options so that more people can participate. This comment is not related to this post specifically, but I just wanted to point out a small visual discrepancy that I noticed in the previous screenshot video. The reflections on the water in the long screenshot video are a lighter value than the objects that are being reflected. Even with the Fresnel effect happening at such a severe angle of incidence, the reflections should still be roughly 1 value step darker than the objects that they are reflecting. At dusk with murky water conditions, the reflections would behave more like a mirror than they would in the sort of daylight conditions from the screenshots, but even literal mirrors absorb enough light to reflect objects at a slightly darker value. I’m sure you guys were already aware of this, and either way everything looks absolutely beautiful. If these lighter value reflections are the product of either technical limitations, or a specific artistic choice then forget this comment all together, but the physical behavior of light seems to be accurate everywhere else in the game, so I just wanted to point it out in case it might be of some help. I have high hopes for The Witness. Strangely I have no doubts in my mind that this game will be something really special and sublime. I just wish there would be more buzz surrounding it. It just kills me hearing people say january only having garbage games to over. Lets hope glowing reviews will change this sentiment. PS. : Just watching Talos Principle on AGDQ. Man The Witness seems to have so many superior design decisions. Just to be clear having played Talos Principle I´m not judging it on a speedrun. Yeah, while the puzzles and plot of Talos Principle makes it a good game, the aesthetics are really bland. The Witness seems like a much more interesting place just for exploring. Some of the puzzles in Talos are really rough around the edges too, I would add. Mostly the issue was with having degenerate solutions. It’s hard to avoid those kinds of things sometimes, particularly if you don’t have a long time to test and think about the game. But I definitely think Talos had times where the point of a puzzle was not obvious because the solution appeared trivial (although sometimes unusually tedious). Still, it was an enjoyable experience and one of the best first person puzzlers in a while. Release is only 16 days away or a little more than two weeks. In the previous post you said you would update this blog more frequently and I hope to read more soon. It would be nice to hear more about if things go according to your plans or if the game will be delayed. Also many people are curious about pricing now that the release is imminent. They are still working on the game right now. Give them time they will give information when possible. – They have finish the voice recording two days ago. I check this blog almost daily but not the Twitter feed. Thanks for the updates, Virgile! I guess the next post will be to annouce the voice casting of the game as Jonathan Blow mentioned on the previous one. Now that we are only two weeks away, Mr. Blow, do you have any idea if there will be reviews that will come out before The Witness is released? (Besides articles that say it is a game of the year contender. ) Or is there not enough time for that? Note: I couldn’t be more excited and don’t need to see reviews to buy the game. It’s one of the few games I trust to be good. I’d like to warn everyone about reading any reviews or previews for The witness. I would advise not reading anything, on print or the internet. I tracked down the Playstation mag and Edge magazine just to read the articles about The Witness. There is a *massive* spoiler in the Edge article that the writer casually ditches out like it’s no big deal. So it already ruined the other part of the game for me. The part that’s not the maze puzzles, the part that I was most excited about. So I would suggest just waiting two more weeks and not look for anything about it. Just get it and play it. I tracked them down too and ended up skimming and skipping most of them for fear of spoilers. I guess that was wise of me. Yep – I’m pretty much ready to go “radio silent” until The Witness is released and I’m finished my first play through. Thanks for the heads up on spoilers. We’ve waited too long for this game to have it wrecked by careless journalists. Thanks a lot for letting us know about Edge magazine, which I have but hadn’t gotten around to reading yet. Will definitely avoid it. Similarly, the “Island Tour” graphic in Playstation Magazine is very interesting, but spoils some of the mechanics of each area. I didn’t feel like anything was _ruined_ for me, but I can see how some might want to experience these surprises in-game. These types of pieces are likely written as such to quell the fear that the game is a casual maze game set on a meaningless 3D backdrop. I agree — avoid further third-party media if you don’t need to be sold any further. I think I know which spoiler you are talking about. On the one hand, yeah, I recommend people avoid reading this article if they want to avoid spoilers. On the other hand, really, it is only a small spoiler and most of the surprises the game has for you are still intact. So I’d say don’t worry about it, it’s fine, you didn’t get the game ruined for you. I’ve read it too and yes they are clearly revealing how some puzzle works in general. Glad to hear that it’s not a major spoiler. Jon must not have warmed to the interviewer because he spoiled the whole game for them. 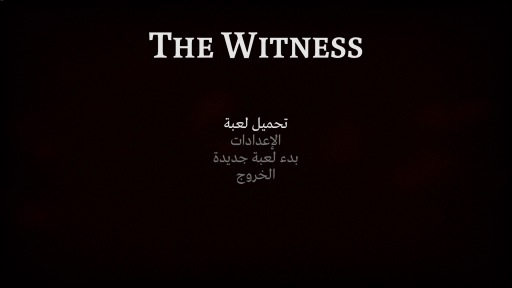 To ruin the game so comprehensively by giving the ultimate answer to what’s behind The Witness (even if it wasn’t printed) is just hilarious and insidious. The journalist clearly had no intentions of playing the game beyond the first hour (either that or Jon didn’t care). Talk about a sick burn. Ouch. I didn’t really get that from the interview. Some people just don’t really care about spoilers so much. I’d also add, from my own experience, some of the things you bring to put in a game. Sort of top-down high concept ideas, they become less important to you as a creator as you go on and realize that the work is much bigger and maybe this “meaning” behind it that you ascribed earlier on in the development is not as meaningful as you thought initially. Or that it’s still meaningful but in a very personal way where you become open to others maybe not seeing things the same way. D-12 !!!!!!!!!!!!!!! Can’t wait any longer …. 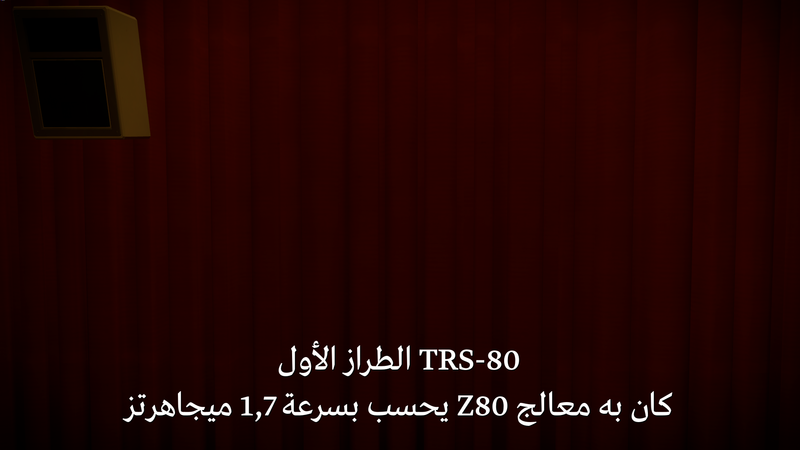 Thank you so very much for supporting the Arabic language. I don’t know if you noticed, but not many games support it.